Ah, Kahlúa. The coffee liqueur we all know and love. (Unless you don’t, in which case today’s flavor is probably not for you.) This is actually a flavor I make fairly often, even though I never got around to posting it before now. 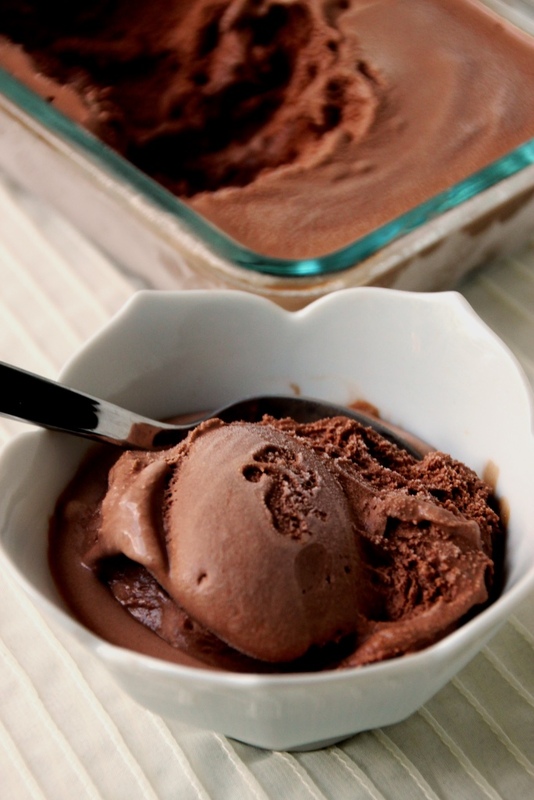 It is a slight modification on my chocolate ice cream recipe, but a whole lot more fun. Very popular with all the ladies I’ve served it to, but unfortunately I don’t have a wide male test audience so I can’t speak to its gender neutrality. In any case, it’s one of my go-to flavors and definitely great for ladies’ night. Smooth and creamy, chocolatey with a completely customizable amount of Kahlúa, this is an easy recipe to tweak to your preferences. Not big on the boozy taste? Use just two ounces (or even less) of the liqueur. Big fan of Kahlúa? Bump it up to four ounces for more impact. I recommend starting with one ounce, and adding it one half to one ounce at a time until it has your preferred strength. Pro tip: drink some water between each taste test. Also, be wary of adding more than four ounces as the ice cream may not harden properly even after several hours in the freezer. While making a batch for the blog, I tried the blender method from last week’s recipe instead of heating it like I have in the past. It worked beautifully and was way faster, plus it cuts down on chilling time. 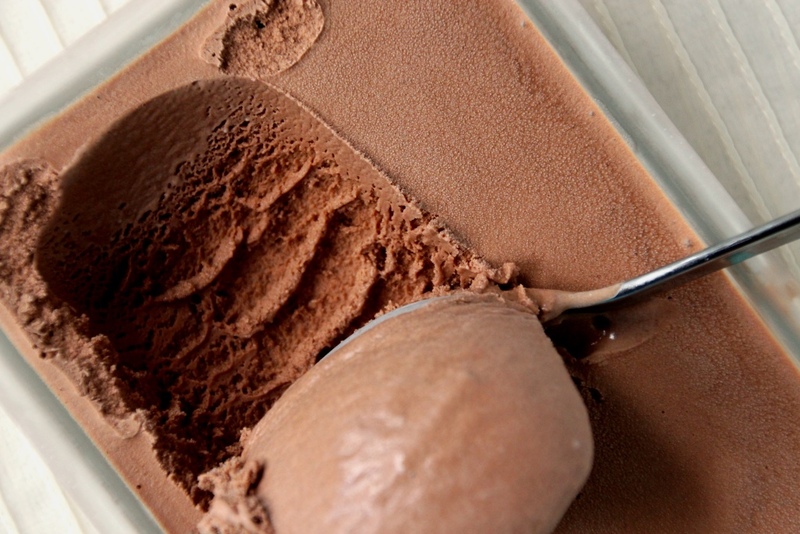 I will definitely be using this method in the future, and have updated my previous chocolate ice cream post to match. Like the Baileys ice cream, this one stays very soft in the freezer so you want to dish it up pronto after you take it out. (You can see it starting to melt in my pictures and that was less than two minutes outside of the freezer.) It is excellent both plain and with whipped cream and/or chocolate sauce. Although I’ve never made it this way, I think it would be delightful with the fudge ripple from the peanut butter ice cream. Personally I think this recipe needs little talking up, so I’ll leave it here. If you’re a chocolate and/or Kahlúa fan, this one’s for you. If this recipe doesn’t fit your style, be sure to check back next week for the last post: an American classic. Mix all ingredients in a blender until smooth and completely combined. 1 I usually add 3 oz of Kahlúa, which is semi-strong without overwhelming the chocolate flavor. Use less for just a hint of flavor or more if you’re looking for more Kahlúa than chocolate. As previously mentioned, be wary of adding more than 4 oz as it may not harden properly! 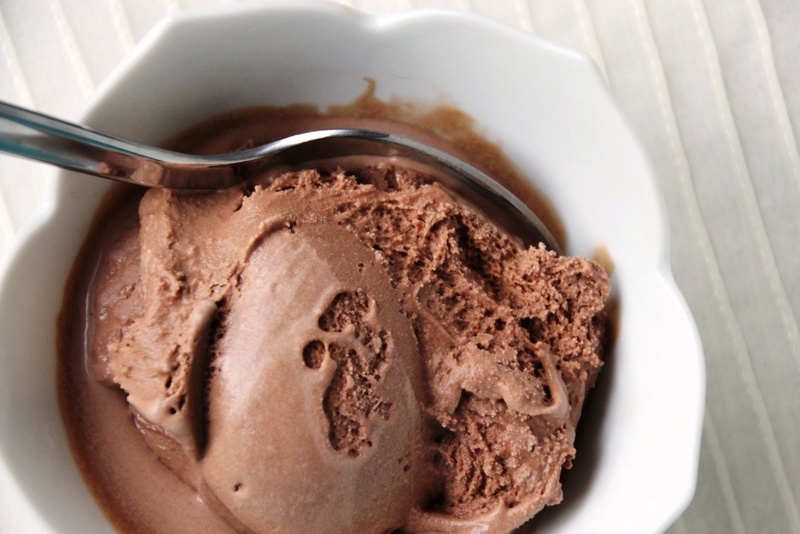 i am so loving national ice cream month.. you can never go wrong with chocolate ice cream, but chocolate ice cream AND kahlua is a killer combination. definitely craving a scoop right now! It’s definitely one of my favorite creations!